This website is an excellent resource. The XE Constitution (including the Preamble), the XE Motto, the most recent edition of The Transit (XE's biannual official publication) and lots of other useful information can be found here. Professor Koffman is a real estate land developer, licensed building contractor and a registered Professional Engineer in the State of California. He is also an arbitrator, expert witness and media consultant. Both Henry Koffman and another current faculty member at USC, Gregg Brandow, were presidents of the USC Chapter of Chi Epsilon when they were students here. 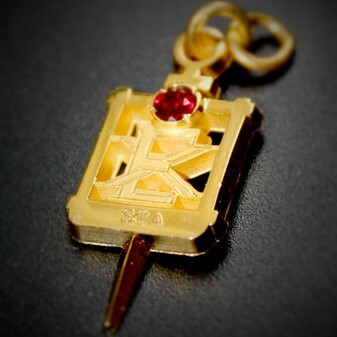 The official symbol of XE, shown below, is called The Key.